Don’t ask Who, It’s The Art Doctor! Alan Marron writes: Sometimes, the strangest things can start a search for information. In this case it was a query from a Spennynews reader, Bobby Hughes, who, whilst searching the internet, had found a mention of a Spennymoor born star of the silver screen. “Could we provide any information on the once household name?” he asked, in a plea that came via web-mail, which our web-master passed on en bloc at infrequent intervals. More often than not, the contents held nothing worthy of following up, but in this case, in my fifth year as a volunteer reporter with the paper, my interest was piqued, and off I went, hardly even pausing to push my Sherlock Holmes deerstalker onto my head, or reach for my trusty magnifying glass… the game was afoot! Gibson was born Thomas Henry Gibson Gowland at 11 Flora Street, Spennymoor on 4 January 1877, the son of Thomas Gibson Gowland, a greengrocer, and his wife Jean, he was second eldest of a family of six (Gibson had three brothers and two sisters). The family business can be assumed to have been a very successful one, as they employed two servants at their home. Part of the street was demolished several years ago, as part of a site clearance exercise prior to the erection of newer homes, and Gibson’s home was unfortunately part of that clearance. It would have stood approximately opposite to what is now Trinity Methodist Church, which has had its entrance in Edward Street since being remodelled more than 25 years ago. In 1915 Gibson appeared uncredited in director D. W. Griffiths’ “The Birth of a Nation”, followed a year later by “Intolerance”, a three and a half hour epic, also directed by Griffiths, now regarded as one of the great masterpieces of the silent era. 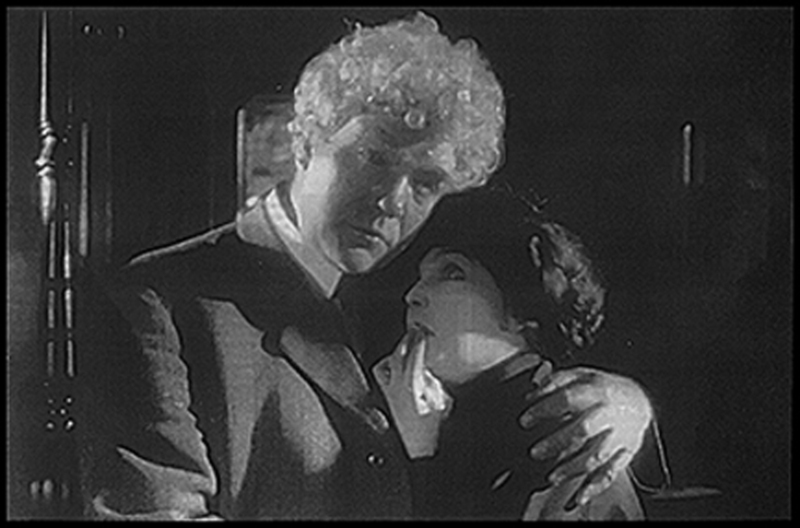 That same year, 1916, he and Beatrice co-starred in another production – the birth of their only son Peter on 3 April. Unfortunately, just two years later they divorced, and Gibson took custody of his son Peter, who went on to make a name for himself as one of the foremost glamour photographers of his day, and the inventor of the Gowlandflex Camera, still in use today. Often cast as a villain, because of his bushy eyebrows, his six foot stature and curly hair gave Gibson a distinctive look, and in 1917 alone he made several films, ranging from westerns to mysteries, but his only starring role came in Greed (1924), directed by Erich von Stroheim, based on the Frank Norris novel McTeague, and co-starring ZaSu Pitts. The film has since become a classic, despite being cut to one-fifth of its original length before commercial release by MGM. In it Gowland portrayed the protagonist, dentist John McTeague. Von Stroheim had earlier directed Gowland as Silent Sepp in his 1919 film Blind Husbands, and this propelled Gowland to relative stardom, which in turn brought a succession of better roles his way. His two best known films “Blind Husbands” and “Greed” are still available on DVD. 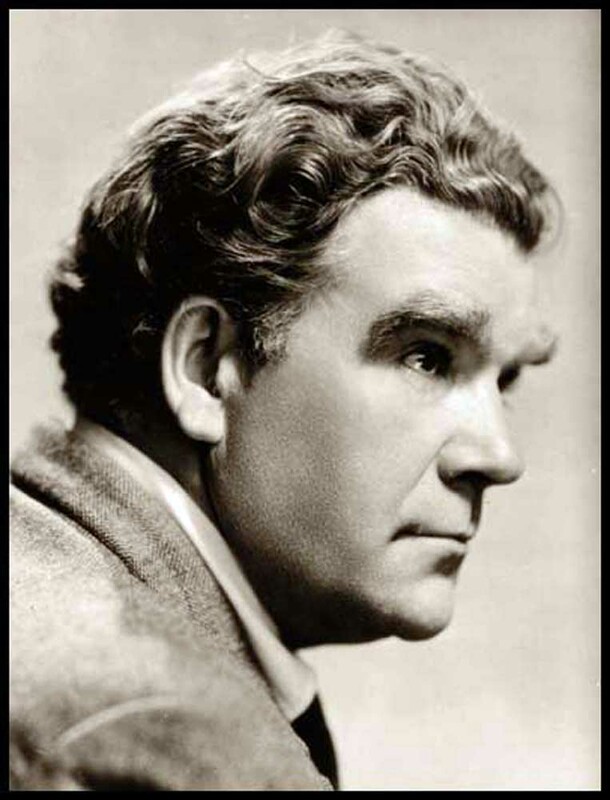 The now relatively forgotten Spennymoor born star of the silver screen appeared in over 80 films – many of them uncredited – yet his acting CV includes: “The Wolf-man” (1924) the part of Joseph Buquet, a stagehand in “The Phantom of the Opera” (1925, starring Lon Chaney jnr.) 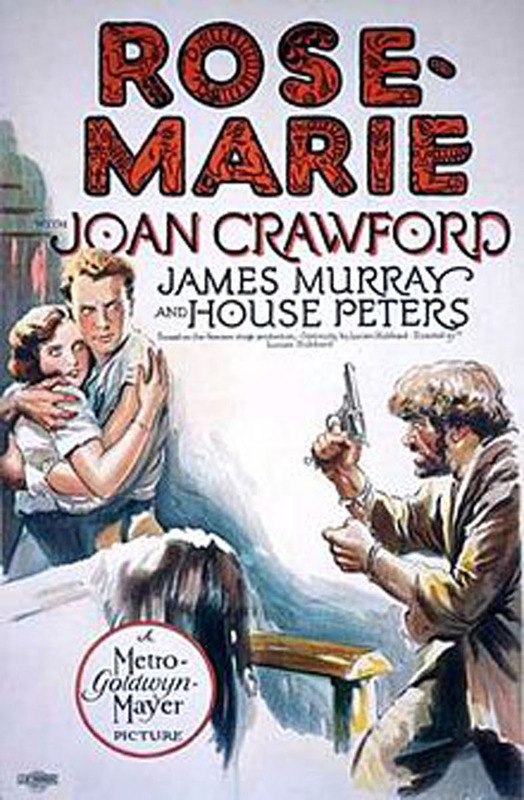 the part of Black Bastien in a non-musical version of Rose Marie (1928 with Joan Crawford where he is unmistakably seen on the poster with gun in hand) and “Mysterious Island” (1929, starring Lionel Barrymore). According to an article in the magazine ‘Famous Monsters of Filmland’, production of the latter actually started in 1926. There were various problems, including weather and the advent of talkies, which served to slow or halt production several times before the film was finally completed and released three years later. The article included stills showing the original 1926 undersea denizens and the redesigned version which actually appeared in the film. Footage shot by Maurice Tourneur and Benjamin Christensen in 1927 was incorporated into the final version. Gibson also had uncredited parts in “Northwest Passage” (1940, starring Spencer Tracy) and “Gaslight” (1944, starring Ingrid Bergman and Charles Boyer). After a second failed marriage, Gibson returned to England in 1944. He died in London on 9 September 1951, aged 74, and is interred in an unmarked grave in Golders Green Crematorium. I managed to track Peter down with a little help from the internet. By this time (July 2007) he was 91, and so delighted that anyone remembered his late father, that he was only too happy to fill in the gaps for me. He replied “I’m thrilled that you wrote to me about my father. He was born on Jan 4th 1877 in Spennymoor, and I was born in the United States. My mother (also English) and father divorced when I was two years old and I lived with Gibson from age two until I was seventeen, when he found a new wife, after which I went to live with my mother.” Peter also revealed that he was “currently finishing work” on his own biography. Pater also confirmed that Gibson arrived in the United States from England, by way of Canada, in 1913 and there met Beatrice Bird, also from England, whom he married. Both were actors who had left their comfortable families behind to seek careers. They arrived in Hollywood by train, knowing no one, in 1914. At first each worked for $2 a day as extras or bit players and lived in a $7 a month shack one-half block from the famous Sunset Blvd. In 1916, Peter was born there. He saw the irony of that humble beginning, by contrast with his later life-style, also just three blocks from Sunset Blvd, but at the other end, in an affluent neighbourhood. 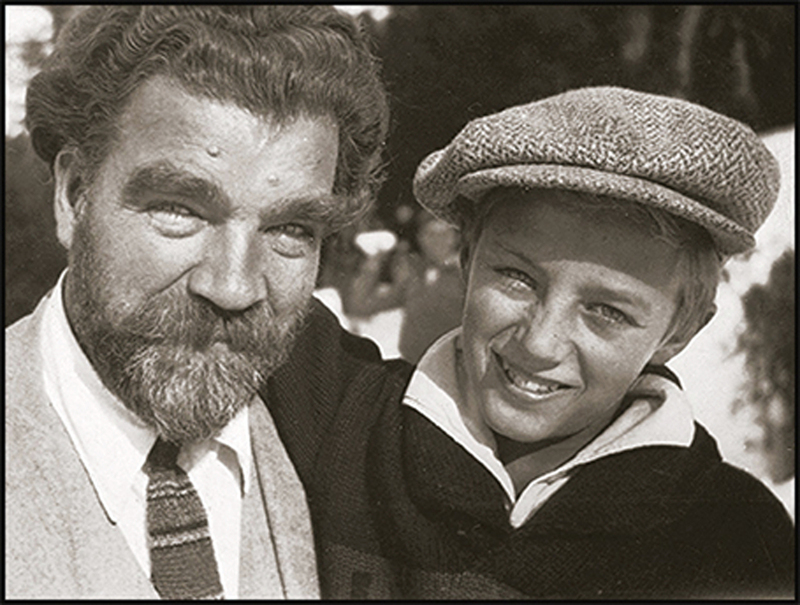 In his planned biography Peter said: “My father raised me from age two, to my late teens. He never hit me, or told me how to live my life, or what I should study in school”.. Peter’s one and only sadness was that he had not been able to trace the site of his fathers internment. Perhaps I love a challenge;or it may just be that I don’t know when its time to give up, but I discovered that Golders Green Crematorium, was under the care of the London Borough of Barnet, so I sent an email to them, asking for information from their records. A day or two later I received their reply, along with an offer of assistance should I or any of Gibson’s family wish to visit the burial site. Based on that information I can now reveal that Spennymoor’s star of the silver screen was laid to rest in Golders Green Crematorium on 18th September 1951, in grave number 65455 Section H.3. There is no memorial stone on the grave which is just grassed over; information which I passed to Peter, who himself passed away on 17th March 2010, aged 93. Cinema seems to run through the Gowland family history: two of Gibson’s brothers, Robert and Edward, opened The Grand Electric Hall in Cheapside, Spennymoor in 1910. It has been suggested by other sources that Gibson appeared on stage in England and Germany under the name of T. E. Gowland, but I have found no evidence to support this, and his early life history suggests very strongly that there is no space where this would have conveniently fit. The same source also wrongly turned Peter’s half brother on his mother’s side, George, into his brother, which hardly inspires confidence.